I suppose I could have entered. I didn't. 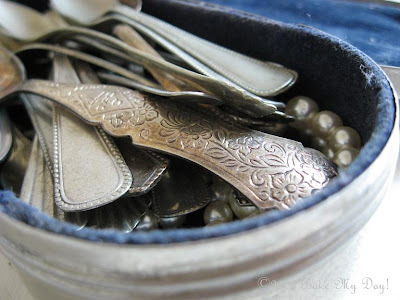 These are my Grandmama's silver teaspoons, in the blue velvet lined box I always touched in passing when I was a child.